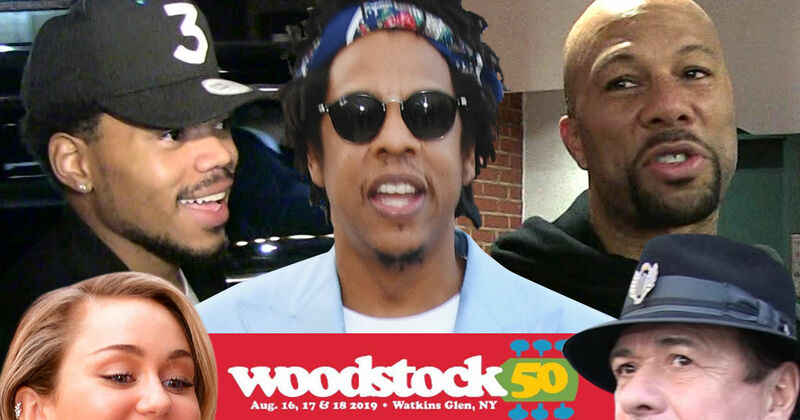 Jay-Z, Chance the Rapper and Common are gonna attract a new generation to Woodstock 50 and anyone who's not down with that better get the **** over it ... STAT!!! Michael Lang -- the co-creator of Woodstock's 50th anniversary festival -- tells TMZ ... he heard about the backlash the festival has received in response to the lineup it released last week. Fans bitched it's too pop and modern, with artists like Miley Cyrus, Imagine Dragons and Halsey. Mueller Report: Trump Cleared, Media Condemned Flyers drop Kate Smith's 'God Bless America,' cover her statue over her racially 'offensive' songs Easter Reading Prosecutor won't comment until review of Smollett case done The Most Epic Trump Troll EVER!